We’ve teamed up with the experts at Joie to look at how you decide which is the right seat, and even more importantly, how you should fit them. When your baby stops being a baby, they’ll need to graduate into a toddler seat, but the choice can be bewildering. So, we’ve teamed up with the experts at Joie to look at how you decide which is the right seat, and even more importantly, how you should fit them. We call these toddler car seats, but who exactly are they for? There’s a huge choice of seats for toddlers, but for the youngest children, you could go for a rear-facing Group 0+ and 1 combination seat, which will take a child of up to 18kg (or about four years old). While these appear to take more space in the car, as a general rule, if you can fit an infant carrier on a base, then most combination seats will take up no more room. However, access can be restricted in some cars, so a rotating seat can make it much easier to load and unload the little one. Alternatively, you can start off with a rear-facing seat when your child is very young – which we recommend doing for as long as possible – and then switch to a front-facing seat once the child is heavier. A Group 1 seat will take a child of between nine and 18kg (about nine months to four years), while a Group 1, 2 and 3 seat can be adjusted as your child grows. 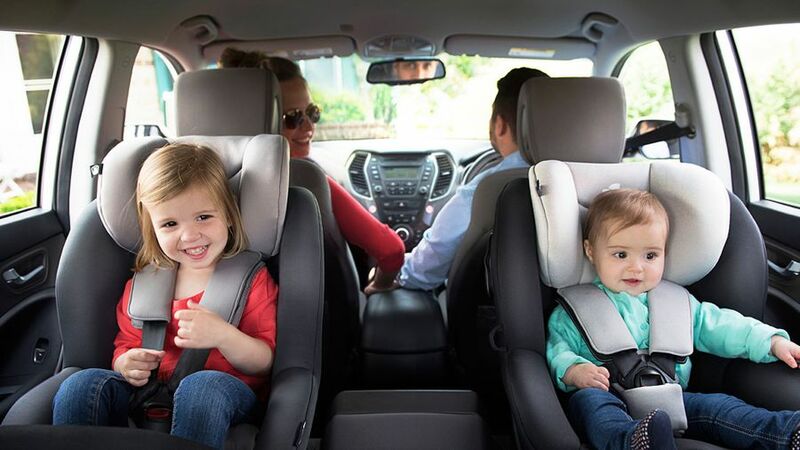 You start off using either an integral harness or a safety shield system, and then a combination seat that also covers groups 2 and 3 will use the car’s seat belts to secure the child. When should I stop using them? As with any child seat, you should only move up to the next seat once your child has outgrown their current seat, either because they’re too heavy or because they’re too tall. Age is simply a guide, however in R129/i-size seating, then a baby must stay rear-facing until they reach 15 months old. How do I fit a toddler car seat? As with any child seat, there are some general rules to follow. First, read and follow the instruction manual, as seat installation varies. Secondly, remove any of the car’s head restraints that are in the way. Finally, when you’re fitting the seat with the car’s belts, feed all the slack out of the belt. To make sure everything is still nice and tight, on a daily basis, simply check the lap belt section is tight enough to flick when loading little one in. As a guide, you should only be able to fit a couple of fingers between your baby’s chest and the straps. And, remember to adjust the straps every trip, as the clothes your baby wears will affect how tightly the belts fit. The best routine to get into is to lengthen the harness as you get your baby out, so that it’s ready to suit whatever clothing little one is wearing when you return to the car. It’s best to fit any child seat in the rear seat, preferably in the centre. And, most importantly, only use the front seat if the passenger airbag is not active. I’ve heard that Isofix mounts are really important, but what can I do if my car hasn’t got them? It’s not a problem if you don’t have Isofix points, as you can fit a seat securely using just the car’s seat belts. If you’re doing that, use your own body weight to push down on the seat as you fit it, to ensure a good fit; make sure the belts aren’t twisted; if there’s a locking mechanism, make sure it’s locked; and, check the buckle doesn’t end up bent over the car seat. In cars with longer buckles, this can lead to what is known as buckle crunch, and they can break open in an accident. What are the advantages of Isofix? The most important thing to know is that, contrary to what some people will tell you, not every Isofix seat will fit every car with Isofix mounts. So, you should only ever use a seat that’s approved for use in your car. The advantage of Isofix is that the seat is secured to mounts fixed directly to the car’s body; and, not only are they easier to fit, most such seats also have an indicator that will turn from red to green to show when the seat is fitted properly. Finally, if you have a top tether, make sure it’s only ever fitted to the proper fitting; and, if the seat has an extending leg, check if your car has an under-floor compartment. If it does, check with the car manufacturer whether it’s safe to use to support the leg.